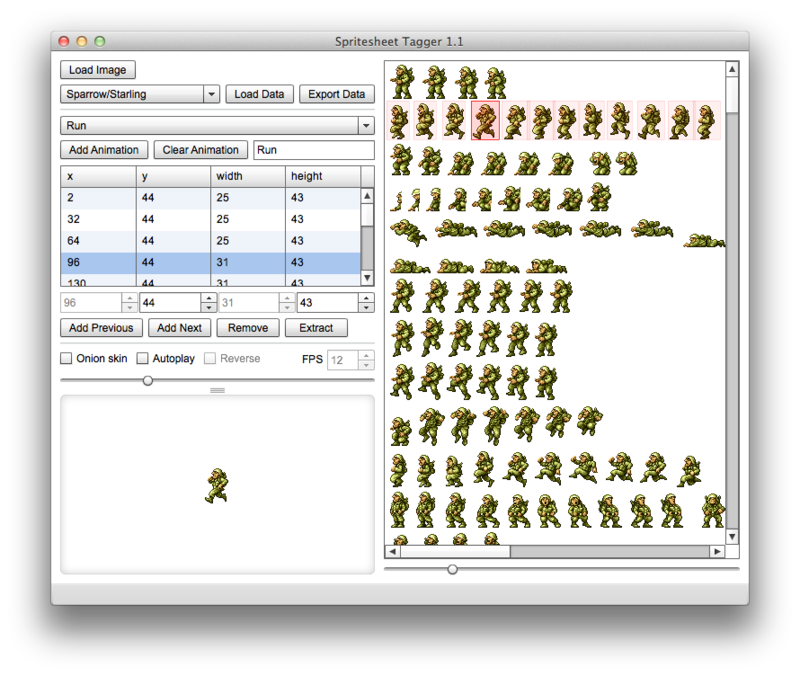 To start with just drag select around a sprite. Then you can copy it by pressing space or drag another. Select multiple frames in the list and use the arrow keys to shift position and size.